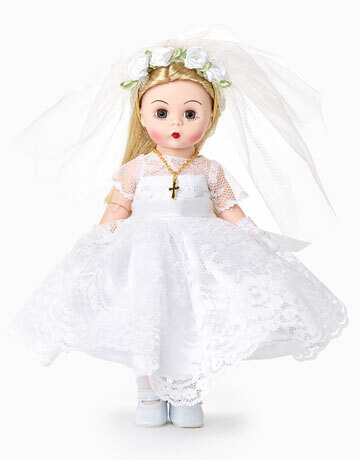 My Ballerina Dolls are designed by professional ballet dancers providing precision, accuracy and most realistic poseability to this unique doll line. The Nutcracker comes to life with fully articulated dolls created especially for children to relive this classic ballet. My Ballerina Dolls capture the essence of this magical Christmas tale with Clara Marie, The Nutcracker Prince and Snow Queen. The Snow Queen guides Clara Marie and Prince Nicholas through her mystical and enchanting winter wonderland. 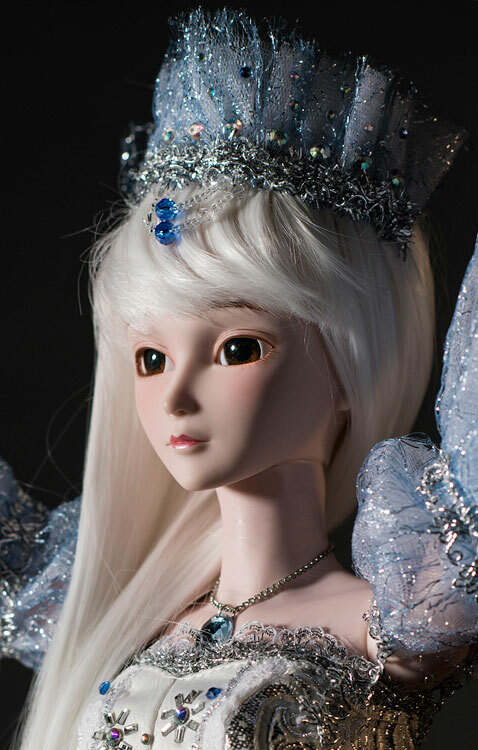 Her crystalized tiara and snow-white hair create an essence of purity. A frosty romantic tutu sparkles from head to toe setting her apart from all the other snowflakes in the 'Land of Snow'. 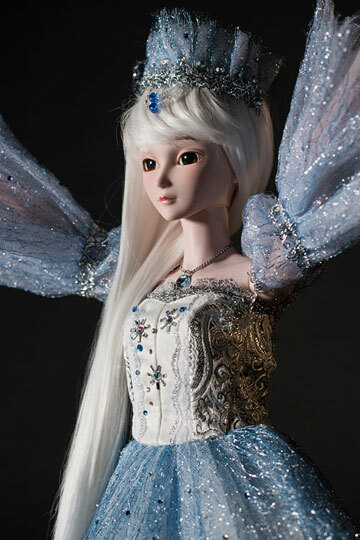 Standing 22 inches tall Snow Queen is made of high quality vinyl and hard plastic. 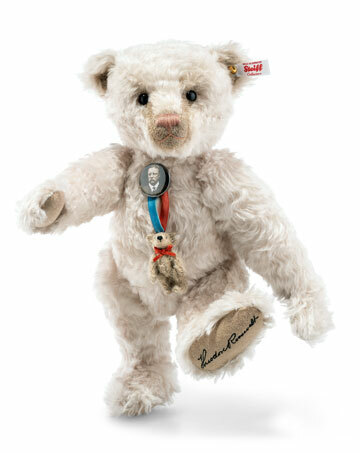 She is perfectly designed for children with 19 points of articulation that will provide endless hours of fun play. She has a beautiful hand-painted expression. Just one look into her sparkling eyes and she will take you away to the beautiful 'Land of Snow'. 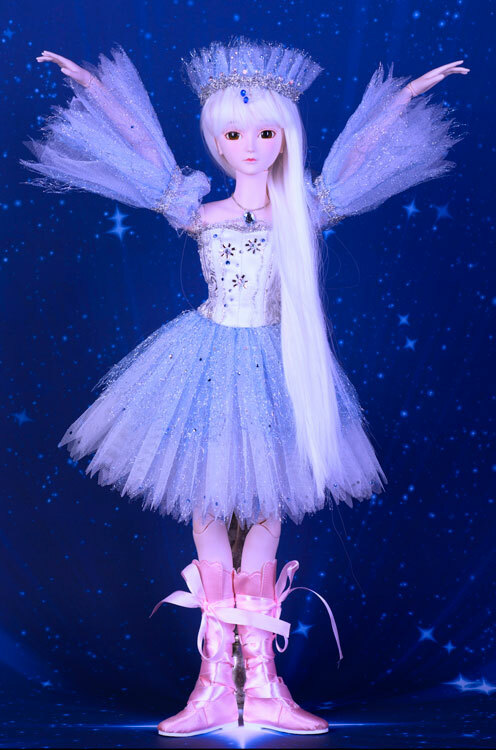 Pose the Snow Queen in all your favorite classical ballet positions! Part of The Nutcracker Collection by My Ballerina Dolls. Suitable for ages 6 and up. Mark Erickson and Tiffany Koepke are co-founders of My Ballerina Dolls, an educational doll line for children created to bring the richness and ethereal world of classical ballet to children in a modern way by applying their extensive artistic background. A native of Milwaukee, Wisconsin Tiffany Koepke began her ballet training at The Milwaukee Ballet. She received the Schlomer Lichner Scholarship for Most Outstanding and Promising Dancer and at age fourteen she was the first student to dance the lead role as Marie in the Milwaukee Ballet's production of The Nutcracker. She danced many roles there, including Sleeping Beauty and A Midsummer Night's Dream. Tiffany also danced in Edinburgh, Scotland at the widely renowned Fringe Festival. As a student Tiffany attended programs at both the Boston Ballet School and American Ballet Theatre. She later moved to California and joined The California Ballet Company. Her notable roles included four cygnets in Swan Lake, Dewdrop and Snow Queen in The Nutcracker, and the title role in Snow White. Tiffany made her first musical debut in Chorus Line when she played the role of Val. (Tiffany admits this was her first attempt at a singing role but cannot say it will be her last.) She was also featured in the award winning film The Making of The Nutcracker a behind the scenes movie about the Ballet Studio's annual staging of The Nutcracker production. A production rated in the LA Times as one of the top ten to see in all of southern California. Tiffany is now proud to be a principal dancer with the San Diego Ballet Company. Mark Erickson divided his time between dance and acting since arriving in California from British Columbia, Canada. Some of his dance credits include lead roles in Giselle, Sleeping Beauty, The Nutcracker, Don Quixote, and a finalist in the International Ballet Competition. Mark has taught Master Classes in Canada for the Canadian School of Ballet, for Lines Dance Company in San Francisco and at countless summer ballet programs throughout the United States. After completing an 8-year run in Andrew Lloyd Webber's The Phantom of the Opera, in both Los Angeles and San Francisco productions, Mark opened The Ballet Studio in Temecula to train ballerinas. Mark was producer of the award winning documentary film, The Making of The Nutcracker.